Posted on November 29, 2018 by Anna Tegelberg. This entry was posted in Promotions. Bookmark the permalink. 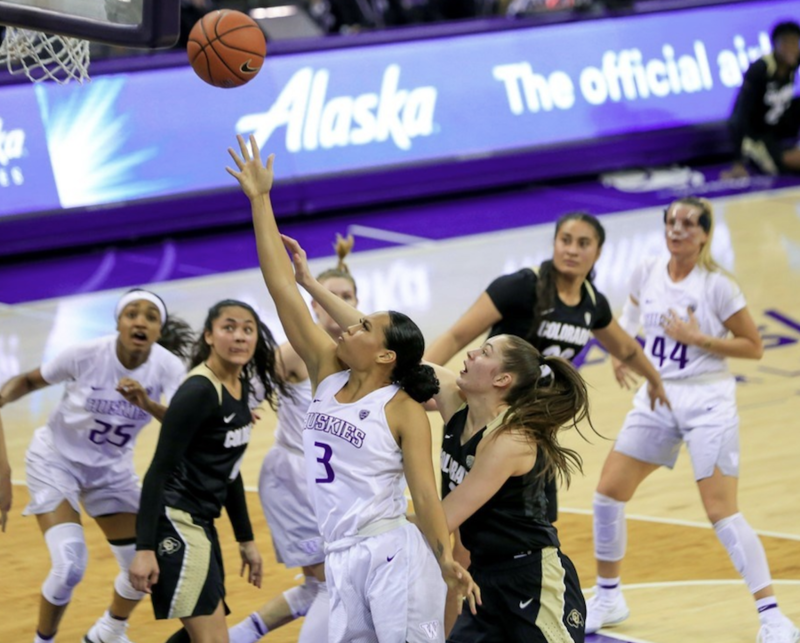 Crash the boards this winter in support of Huskies Women’s and Men’s Basketball and Gymnastics with select discounted tickets from UW Athletics and The Whole U! It all starts December 30 and continues all quarter long – we’ll keep the page updated with new and current offerings! Each of the following UW Athletics events are discounted for faculty and staff. Bring along friends and family and make your Winter quarter the most exciting yet. Adult tickets are $10.00 and child tickets $5.00. Buy one, get one free! This event is in partnership with Be The Match, wear your purple to support Purple Strong and learn more about registering for the world’s largest marrow registry here. Share photos of you and your family and friends at the games by tagging The Whole U on Instagram, Facebook, or Twitter, or email us at wholeu@uw.edu to score a free swag item!